A story of reinvention that brings unhoped for gold. 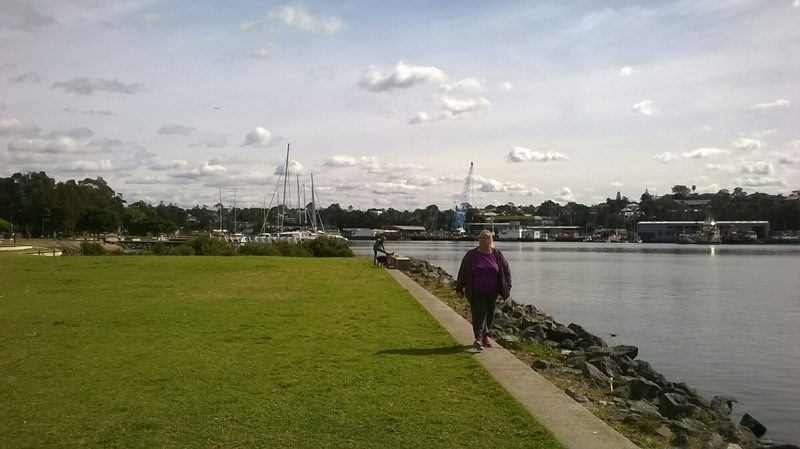 Day before yesterday we were exploring parkland on the Glebe foreshore. Being immersed in new scenery, previously only glimpsed from the passing tram, felt so good. Walking, taking photographs, chatting a little, being yapped at by a territorial chihuahua. Suckling some marrow out of life. Doing life. Yesterday was cold and rainy, although thankfully the umbrella was not needed walking home from the bus stop on Parramatta Road. Today I straightened my bedroom up again, for about the ten zillionth time. That felt so good too. My room acts as a sort of “spare room” for the flat, despite being my bedroom. Having it tidy always feels like a special treat. All of these are faces of my spirituality. Around 8 years old I “gave my heart to Jesus”. The love affair begun that evening on a bus travelling home from a church function at Tamworth, continues to this day. My love affair with church though is much more that of a teenager infatuated with the idea of what church can be, combined with the bitter disappointment of the jilted lover. Church insisted I be made in their image, while Jesus respects the image his daddy gave me, and asks simply that I love. Church rejected me as I am while Jesus holds his arms out to his daughter. That’s the core of my spirituality. Nothing more, nothing less. A love affair. These days I call myself Pagan, although Jesus is not generally mentioned in the various pantheon and practices. The Goddess and The God are not easily matched with The Father, Son, and Holy Spirit. However, it is Paganism, with its focus on the environment, from bedroom to planet, and on individual responsibility for their choices, good or bad, that channels my love affair with Jesus. Much Pagan ritual is about creating a sacred space to connect with Deity. For me, that space is carried everywhere – within my heart. My heart is the altar, and the gift on the altar. My study, and future practice, of Psychology is an extension and application of my spirituality. Now I need to visit the bathroom, perhaps have a short nap, and then do some study!